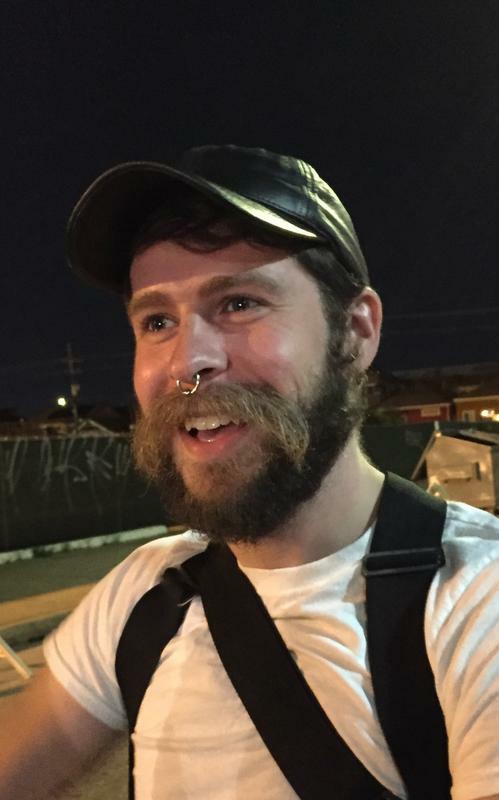 Lords of Leather CRAWFISH SABBATH! 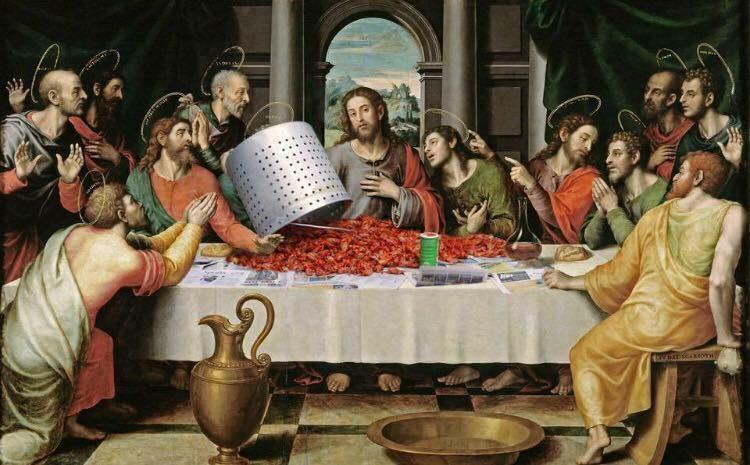 Join us on Sunday, April 27th 2pm-5pm at GRANDPRE's on Rampart for our annual Crawfish Sabbath. 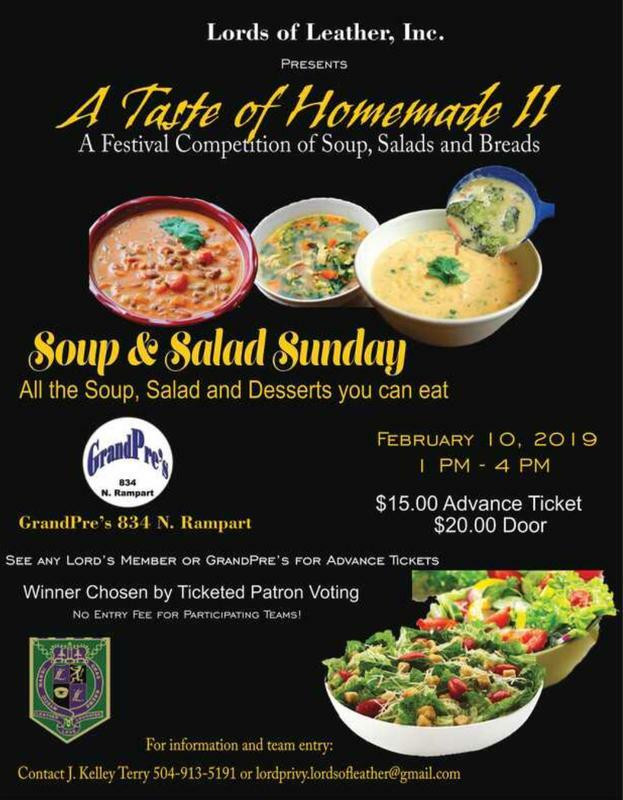 Soup & Salad (Desserts & Bread) Sunday! Lords of Leather does the 90s! Decadent Behavior Men's Party 2018! The Lords of Leather and The Phoenix/Eagle present our annual "Decadent Behavior Men's Party!" Open Bar (domestic beer and well drinks); complimentary coat check! Decadent Behavior Men's Party 2017! The Lords of Leather and The Phoenix/Eagle present our annual "Decadent Behavior Men's Party!" Open Bar (domestic beer and well drinks); complimentary coat check. And YES! Bartender Peter is BACK! 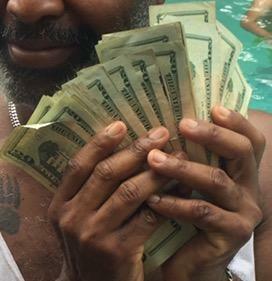 LORDS OF LEATHER $1K RAFFLE!! 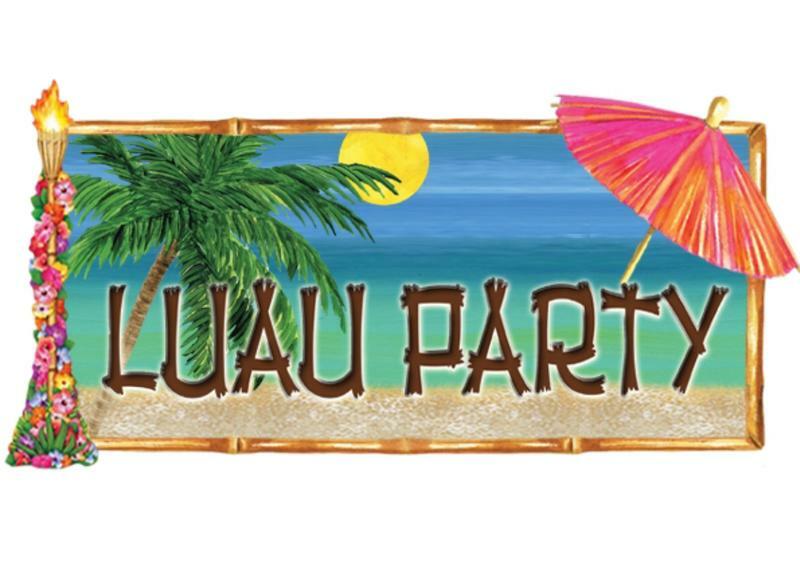 LUAU 2017! Hosted by The Lords of Leather!